“If you guys will I have me back, I plan on re-signing here next year.” Oct. 4, 2018. What’s the significance of this quote? Point guard Kyrie Irving said it before the Celtics faithful at TD Garden on Causeway St.
We should’ve seen this coming, given the track record of Irving and how his tenure in Cleveland came to an end. We’re talking about the same guy who was willing to sit out the entire 2017-18 season if the Cleveland Cavaliers didn’t trade him. 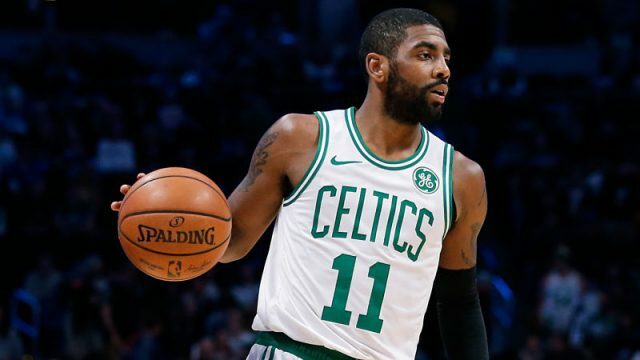 However, Irving was shut down for the season on April 5 of 2018 after undergoing a procedure to remove the screws in his formerly fractured knee cap. So it was inevitable that he’d miss time at some point. With that in mind, let’s try and take a look into the mind of one Kyrie Irving. Everyone is made up of a different character. If you take the two most laid-back individuals and put them in the same room, you would see some characteristics that differentiate between the two. So for Irving, who said all the right things last season, and started this season doing the same thing –– it’s unfair to expect him to be that low-key all the time. I understand that Irving could essentially “squash” this whole rumor by doubling down on his sentiments in October, but how many more times can he be given a chance to take a shot at the media? If there’s one thing Kyrie has done this season, it’s earned the right to spar with members of the media. The Celtics are 32-19 and tied for fourth in the Eastern Conference with the Oladipo-less Pacers. The reason Boston is even in the position they are in right now? Kyrie Irving. He’s been carrying this team on his back ever since opening tip on Oct. 16. He’s trying to lead a team that has a clash of egos who refuse to buy into their roles and a star in Gordon Hayward who is a shell of his former self. Let the man focus on getting his guys to rally behind him –– and stop reading so much into every little comment he makes. Do you know who knows about Kyrie’s status? He and his family. So stop the speculating and digging for a juicy soundbite.